Not even a little bit of rain could stop one and all from having a blast at last Wednesday’s Drive-In Dinner at the Brooklyn Brewery. Bongo Brothers, the Red Hook Lobster Pound, Feed Your Hole, the Morris Truck and Coolhaus transformed the block outside of the brewery into the tastiest place to be in Williamsburg. A party without wine…well, that’s hardly a party. But a party with wine from more than 30 of New York State’s top wineries and vineyards, plus food from 30 of the city’s best restaurants and artisans–that’s something even better. It’s called the 6th Annual Brooklyn Uncorked. Perhaps next week’s Good Dairy event should’ve been called Excellent Dairy. Judging by the lineup of decadent dairy and delightful drinks our vendors will be serving on April 25th, it looks like we’re in for a fabulous evening. And what could be more appropriate for our nightlong ode to dairy than the big, white space at the Openhouse Gallery on Mott Street in Nolita? 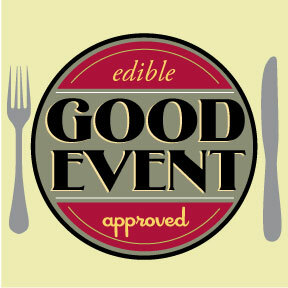 Delicious dairy, wonderful wine–it’s all coming up in the next few weeks on the Edible events front. Food trucks are synonymous with on-the-go eating, but every once and while, it’s nice to be able to sit down with it, enjoy several courses of it, and pair it with beers from the Brooklyn Brewery. Hear that? It’s the sound of food trucks rolling to a stop at the Brooklyn Brewery for the Drive-In Dinner. We challenge you to find another event in Brooklyn (or Manhattan or Queens or Staten Island) where you can get a 5-course meal from food trucks with beer pairings from the Brooklyn Brewery…and all for $40. There are those who like pizza and those who love pizza. The lovers were at the Brooklyn Brewery this past Wednesday evening for How to Knead, Top and Toss, the latest installment in our How To series that taught pizza fans all they needed to know about creating the perfect pie.